We invite anyone with an interest in restoring or recreating freshwater wetlands to join us October 18, 10am to 3pm, for a Wetland Field Day. The event will be held at Texas Parks and Wildlife Department’s regional offices on 14200 Garrett Rd at Sheldon Lake State Park in northeast Harris County. The Field Day will showcase the project with morning presentations from TCWP and others closely involved in the restoration, followed by a visit to the wetlands in the afternoon. The Sheldon Lake prairie wetland represents a new and unique approach to restoration, combining modern mapping and geo-positioning with traditional methods for restoring freshwater wetland systems. 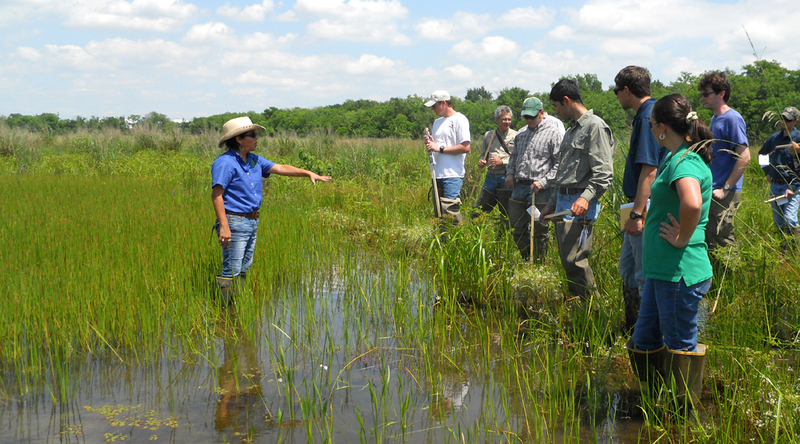 The Field Day is an opportunity to explore this technique with the developers and see the results on site in thriving freshwater wetlands.